There’s no getting away from it…Nice beaches are pebbly. 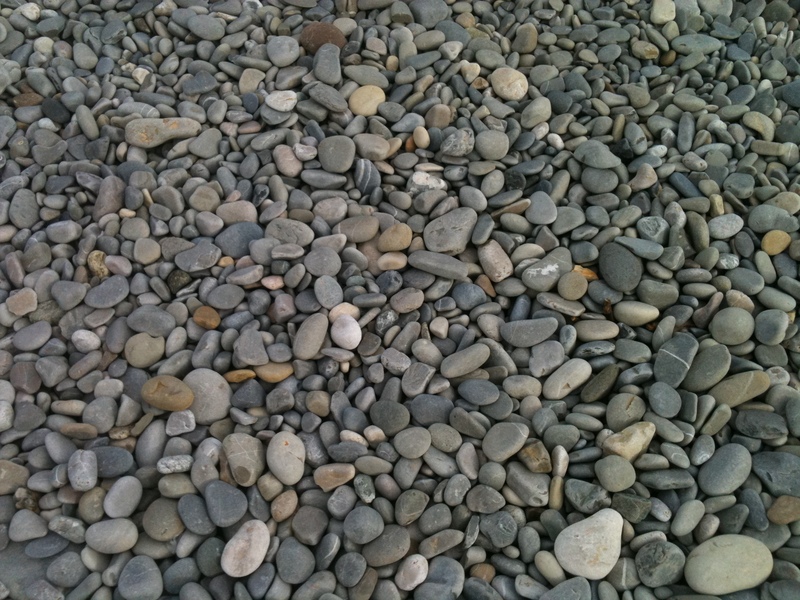 However with flipflops – or jelly shoes for the unfashion-conscious (after all you’re on holiday) – the beautiful grey/blue pebbles need not be a problem. In fact for trouble-free walking over the pebbles and a comfy foot-related entrance and exit from the waves look out for the black rubber beach shoes which most of the little beach shops sell. These are the best solution and look good too. Getting in and out of the sea can be tricky because of the slope and swell! I do best to surf in on my tummy and reach for the shore this way. Of course you’re taking advice here from probably the least agile bather around so it’s very likely that you will experience no difficulty at all in nimbly nipping in and out of the waves. Please share your tips with me! This entry was posted in beach, top tips. Bookmark the permalink. Thanks for the tips! 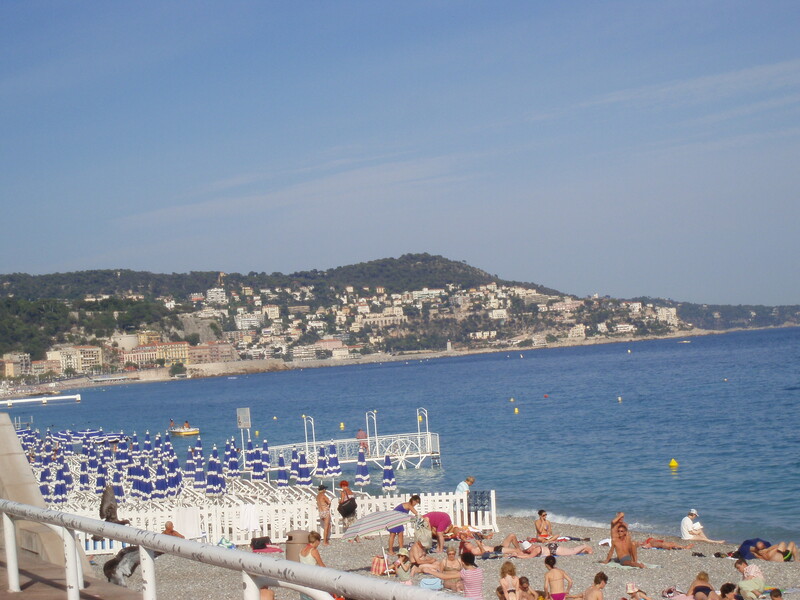 In terms of sunbathing on Nice’s beaches, the pebbles are surprisingly ok to lie on, especially if you have several layers between you and them. To make it more comfy, I lie on a beach towel which is on top of a foam mat on top of a raffia mat. love your strategy for comfy sunbathing!! my post and hope to hear from you again!